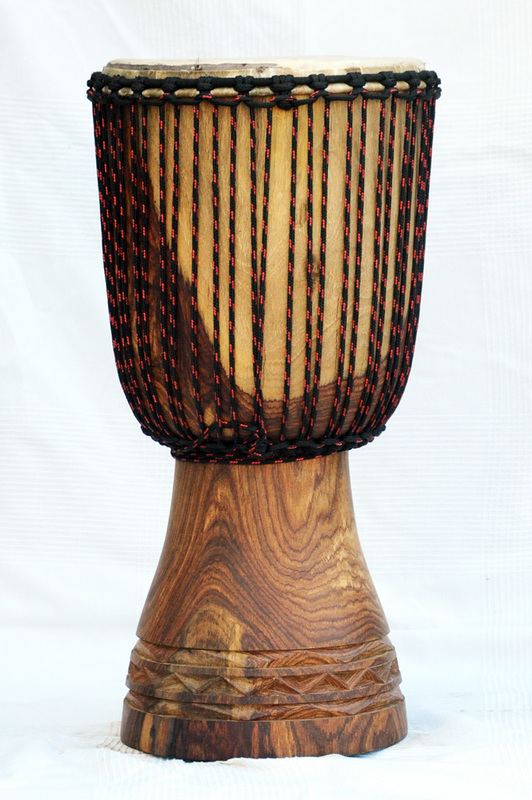 This djembe with cow skin is best for djembefolas looking for a warm sound close to the conga, a soft sound with powerful tonic notes and few harmonics. 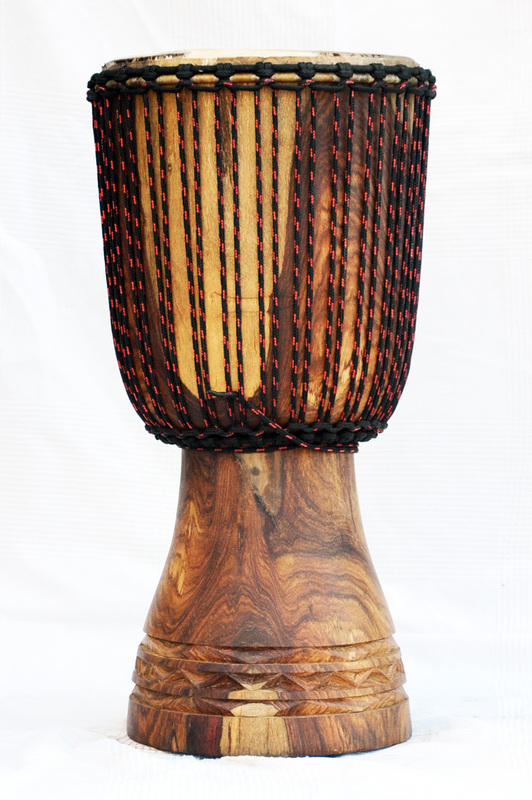 A traditionally high quality instrument shaped with precision tools, the Top Mali djembe drum is the fruit of a meeting between ancestral skills and technically, precise, modern tools. Dried in a vacuum for at least 4 years, its shell hollowed out, re-balanced and precisely sanded on a wood lathe. 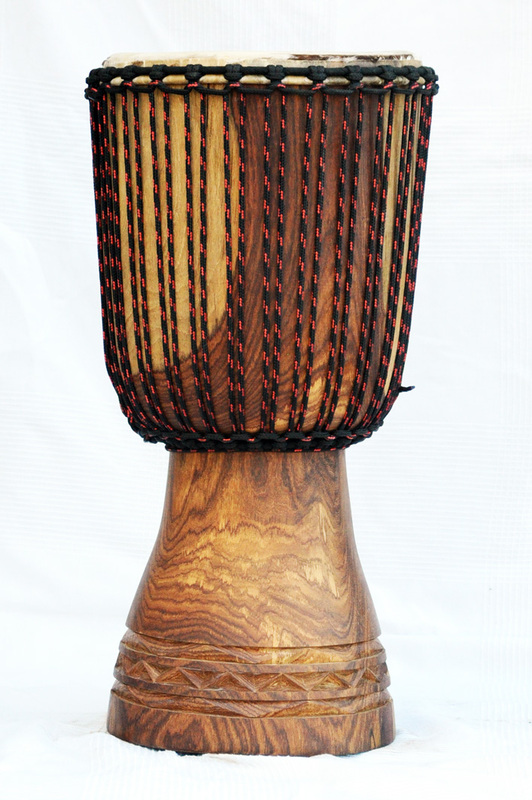 This djembe weighs in general 2 kg less than a classic Mali Djembe. Preemptively re-balanced using a specially adapted wood lathe, it is polished through a series of sandings using progressively finer sandpapers. Any tiny micro-fractures are chamfered and glued with extraordinary precision. It is finally coated with a blend of beeswax and terpin, protecting it from wood-eating insects. 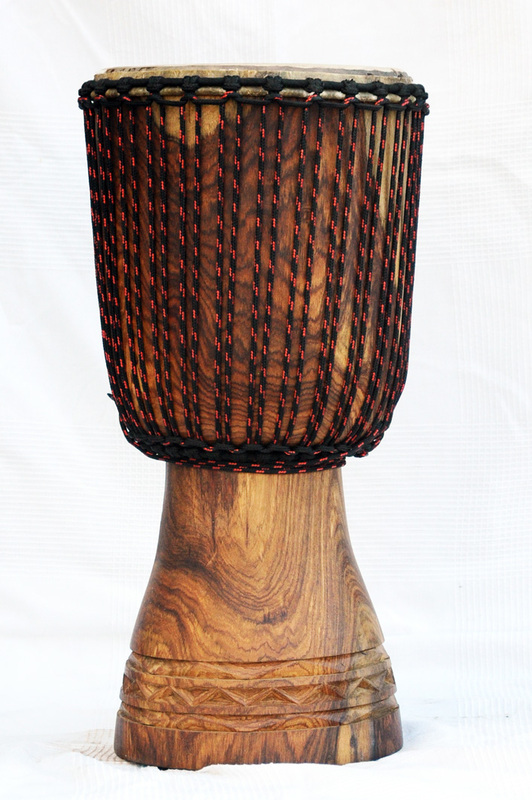 This djembe drum was created by Malian craftsmen using traditional materials and skills.